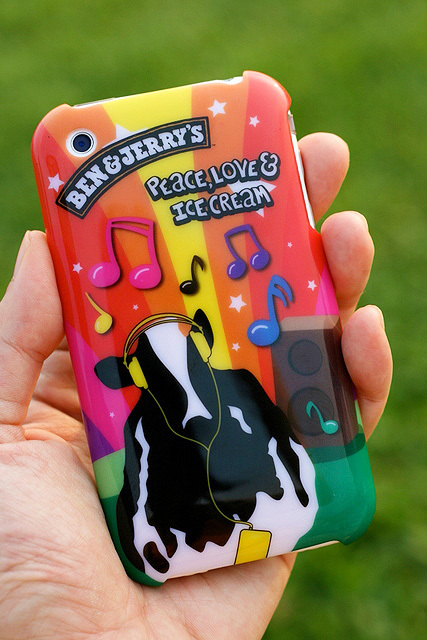 So many people have been asking me about the Ben & Jerry iPhone cover and how they can get one. The bad news is - it's not available anywhere except during Chunk Fest, which is over (boo hoo). They don't sell it at the scoop shops either! The good news is - I now have 10 of these to give away, thanks to the kind folks from Ben & Jerry itself! c) Name your favourite Ben & Jerry ice cream flavour. First 10 satisfactory responses will win an iPhone cover. I will mail items to the winners. Meanwhile, Ben & Jerry is organising a "2 Scoops 2 Scary" Halloween Tour of Mischief and Mayhem. Go trick or treating on the Ben & Jerry bus from Dempsey to the Night Safari. 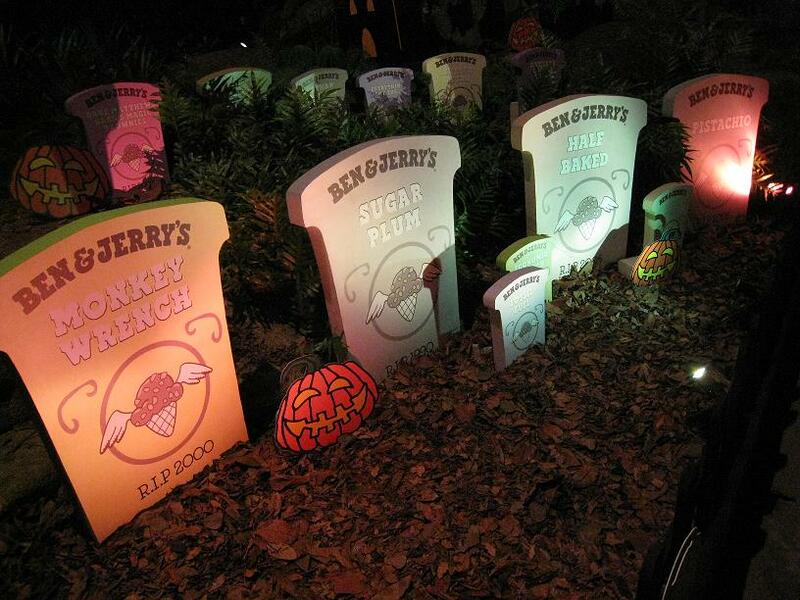 You'll get to visit the Flavor Graveyard and embark upon the Train of Terror! Local moosicians Jack & Rai will be entertaining throughout, and all trick or treaters will depart with their pumpkins full of Ben & Jerry’s goodies. Simply purchase two scoops of ice-cream at Ben & Jerry’s scoop shops island wide from now till 25 October to enter for a chance to join the tour on 31 October 2009. Take a stab at i-scream flavours like “Vampire“ Chunky Monkey, “Mad” Chocolate Fudge Brownie, “Beastly” New York Super Fudge Chunk, “Evil” Cake Batter, Bloody Black Rasberry. Simply ghoulicious! More information on their website. Wow you two are fast! OK, first two covers go to you, Wen and Cal! I like Strawberry Cheesecake and Cherry Garcia too! a) "I want a Ben & Jerry iPhone cover!" c) Phish food is my favourite flavour! I hope I'm eligible for a iPhone cover! I would love to give the cover to my boyfriend! thanks! Didn't mean to have the same ans as some cute people.. guess we entered at about the same time. c) My favourite is Dublin Mudslide! I can finish one tub myself!!! Wow so many iPhone users? OK, these are the winners - please email me (camemberu at gmail.com) your mailing address unless I happen to be meeting up with you next week! Tanny and Eunice, you're on waitlist...if someone does not claim their iPhone cover, you are next in line. might just get lucky. ah well. c) chunky monkey has to be my all-time fave. won't have it any other way. Found your lost iphone yet? Arrgh...I miss the boat again. c) My favourite " New York Super Fudge Chunk"..I can eat the whole tub by myself in one seating ! yikes ! c( my fav is fish food! I use to eat out of the tub with my brother, watching our favourite shows! c.) MY ALL TIME FAVE IS PHISH FOOD! woohoo! PHISH FOOD FTW! A very interesting post...just love that colorful cover. Hi all, thanks for the overwhelming response! All iPhone covers have been spoken for, and in fact I've mailed out most of them already. Irene Chew did not respond (and well, one of her answers is a repeat), so tanny, please get in touch with me. If tanny does not email me in 3 days, Eunice will get the cover. Unlimitedfeast: No, I did not get my iPhone back. So I got a new one! I tried using a regular phone for a few days...it's just too painful. I feel like just getting an iphone just because of that casing! Haha! Camemberu.. the Halloween Tour was so bad... no treats. It was a trick. Tortured travelling to many scoop shops. ice cream was not freely given. only had 1-2 scoops. they gave 10% discount at some outlets. rai and jack only performed one song in the bus. it was so bloody bad. OMG!! such a beautiful cover!!! where else can i get it?? Thunder Tea Rice - Hakka "Lei Cha Fan"